Hiking can be an overwhelming experience. You're out in the wilderness with wild animals, there usually isn't cell service and the elements can be unpredictable. But as long as you go in prepared and remember to stop and smell the pine cones, you'll be sure to return the the trailhead with a big ole smile on your face, a camera full of amazing photos and memories to last a lifetime. 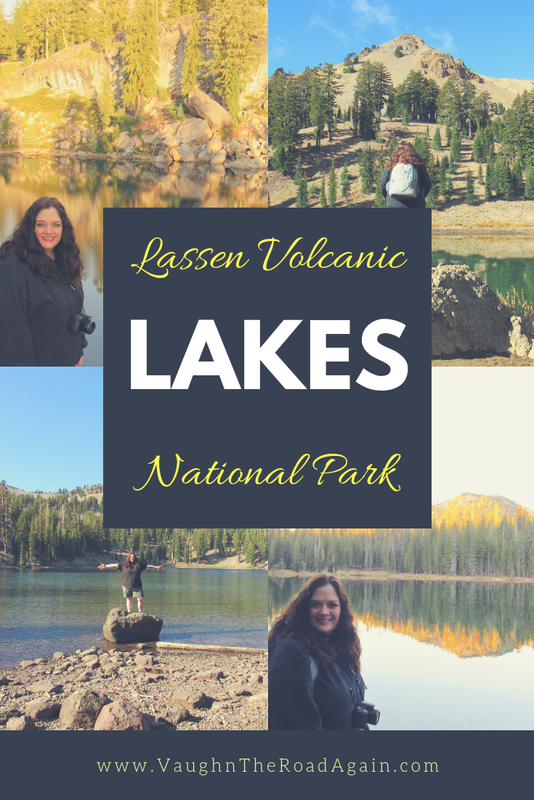 After spending a few months hiking in Lassen Volcanic National Park, I thought I'd put together a list of things I wish I'd known when I first started out. 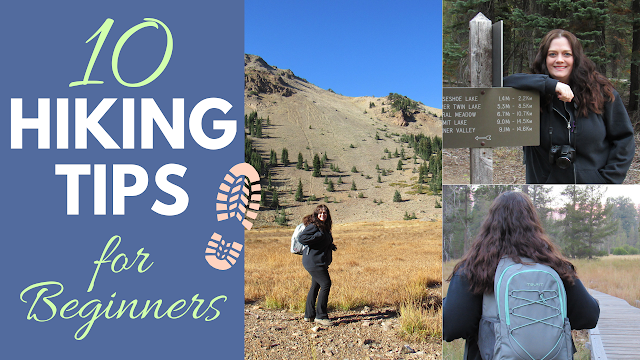 Like everything else, hiking is a learning experience, and I hope these tips help you get the most out of your adventure. ↔ Stay hydrated! Bring and drink plenty of water. Trekking up mountains and over unfamiliar terrain is hard work and keeping hydrated is important. ↔ Gear up! You don't have to spend a lot, but there are a few things you'll need. Invest in some comfortable hiking shoes. You're going to be putting a lot of miles on those puppies, so make sure they're a good fit. I found an insulated backpack cooler with comfortable padded straps and it holds everything I need out on the trail without digging into my shoulders. ↔ Check the weather and dress appropriately. You might need to layer up for those chilly autumn sunrise hikes, but keep in mind that once the sun comes up the temperature will rise. When you're up in the mountains, the weather can change quickly and drastically. For some hikes, I was bundled up in the morning, and by the end of the day I had changed into the shorts I'd stowed in my pack. ↔ Be prepared for anything. Carry a first-aide kit just in case. Pack a printed map of the trail and surrounding area to refer to if needed in case there's no internet. It's always better to be over prepared, especially if you're going far off the grid and away from civilization. And don't forget to bring sunscreen. Give yourself plenty of daylight to complete the trail. It might take a little longer than you planned for and you don't want to be stuck out in the wild unknown without a flashlight at least. See, that handy-dandy backpack is filling up nicely! ↔ Go easy on yourself. Don't try to set any records on your first (or even your dozenth) time out. It takes time to condition yourself, and even after a few hikes some trails are a real challenge. You'll be dealing with high altitudes and rocky terrain, slippery paths and just as much uphill as downhill. Work your way up to that massive, altitude-busting peak. Those inclines might be brutal, but the view at the top will be fantastic and totally worth those sore feet and aching muscles. ↔ Prepare to be sore. You'll probably be sore the next day after a big hike. If not, then I'm totally jealous. Muscles you didn't know you had are going to protest when you attempt to climb out of bed the next morning. But, you know what? You'll be grinning through the discomfort because in the back of your mind you'll know that you accomplished something great the day before. All those aches and pains are just reminding you that your body is strong and capable of taking you up hills, through forests and over uneven paths. You're the one who laced up those new hiking shoes and walked all those miles. You're a lot stronger than you think! ↔ Decide for yourself. Popular hikes might not be all they're cracked up to be. You might enjoy ones that aren't talked about as much. You're the one in charge of your adventure! ↔ Pace yourself. It's easy to overheat and become breathless (and not just from the beautiful scenery). I thought I wasn't going to make it back up the Mill Creek Falls trail and made the mistake of not resting enough and attempting to "power through" even though my body was telling me to stop and take a break. I figured that the faster I went, the faster I'd be done and back to the car, but all I did was burn myself out until I could hardly breathe. ↔ Take time to stop and enjoy the scenery along the way. It's easy to fixate on your destination, but remember that there's so much to see on your way to that waterfall (or lake or geothermal area). That "the journey is just as important as the destination" stuff is true! Every few minutes, take a minute to stop, turn a 360 and just look at all that natural, untouched beauty around you. Appreciate how tall the trees have grown, listen to the birds fluttering around in the trees and breathe in all that fresh air. 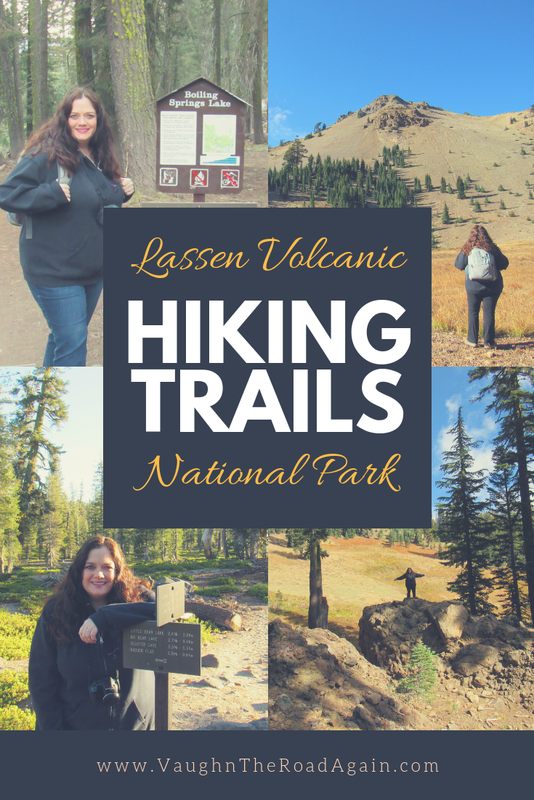 My first months of hiking took me through red fir forests and meadows full of wildflowers, over boardwalks and waterfalls, up rocky inclines and down slippery hills. There were times when I was staring up at the giant trees towering above me and there were times (like on the Crystal Lake trail) when I was the one looking down at the trees because I was so high up. Hiking is an adventure in every sense of the word. So get out there and grab hold of that adventure and see where it takes you!